Christmas is coming which means a stressful time for many people! Deadlines at work, Christmas parties, finding the perfect Christmas gift, children running around cooking and what to wear?!? SUP46 has listed a few gifts from our member companies that can help you the coming days! With a wide variety of options to suit all levels and types of meditators, The Mindfulness App is the perfect tool for anyone looking to improve mental health and overall wellbeing. Download the app today and start your free month trial. The SUP46 member Mobilimeet puts an end to all your meeting frustration and lets you have collaborative and engaging meetings every time. With Mobilimeet you and your team can collaborate on any device before as well as during meetings, and follow-up of actions and to-dos are as easy as pie. Free trial and 25% off your purchase with promo code XMASDEAL25. Still a bit stressed about work? Attach tells you what happens to your documents after you hit send. 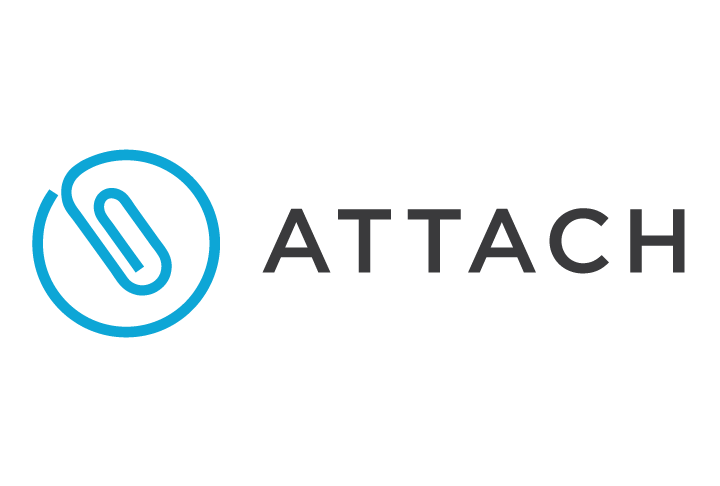 Sales and marketing teams use Attach to track, manage and control sales collateral like pitch decks, proposals, and other high-value documents. SUP46 member Attach gives you 3 months of Attach for Business free by signing up here. Don’t forget that shopping groceries online saves time but shopping groceries online by recipes saves time AND mental energy (much needed right now!). SUP46 member Gastrofy will help you out! The code SUP46 gives a user 200SEK discount on their first purchase! Give someone you love a few hours of rest with a babysitter, doggy walker or a snow shoveler (is that even a word?) 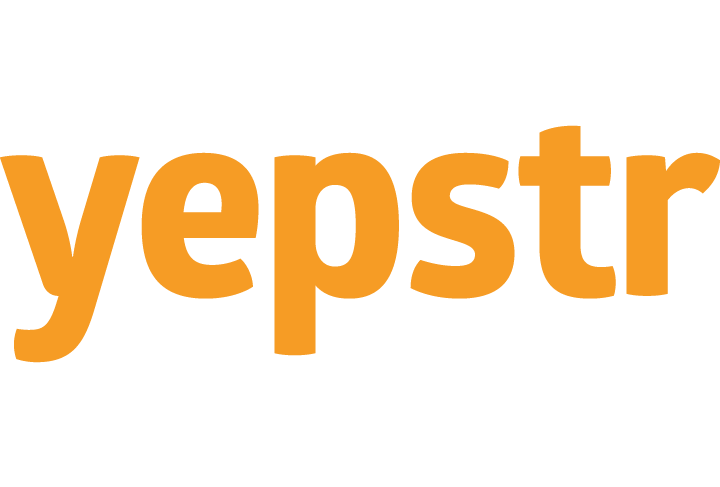 Yepstr will help you out! Finally – safety first! Stilla Motion is a pocket-sized security system that gives you an instant alert if something moves when it shouldn’t. 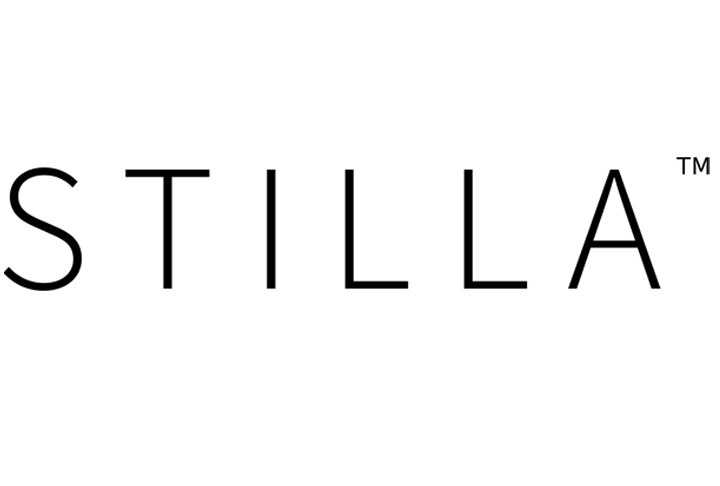 Using this perk you will get a 41% discount on a Stilla Motion. Take a look here. Soon it’s time for the next Swedish Startup Hall of Fame Award but this year we have decided to change the concept. 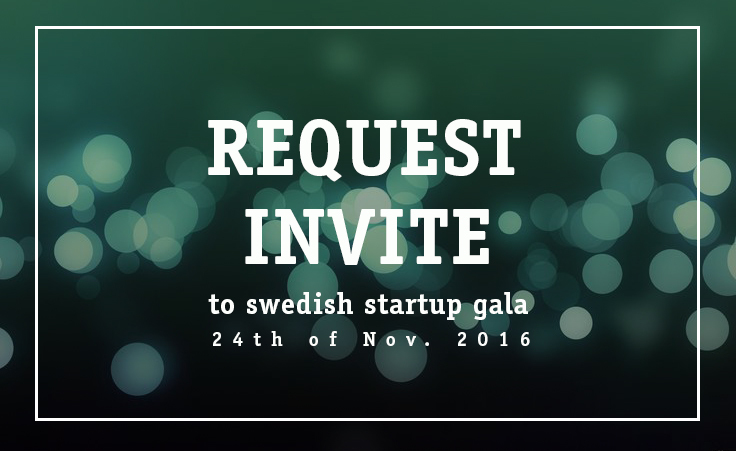 From this year we will call it the Swedish Startup Gala where we will have three categories, the ”Swedish Startup Hall of Fame” Award and two new ones: ”Startup Team of the Year” and ”Startup Launch of the Year”. The next person being inaugurated into Swedish Startup Hall of Fame will be chosen by Niklas Zennström, Jane Walerud and Jessica Stark, CEO and co-founder SUP46. Our Event Space sees around 250 events every year. 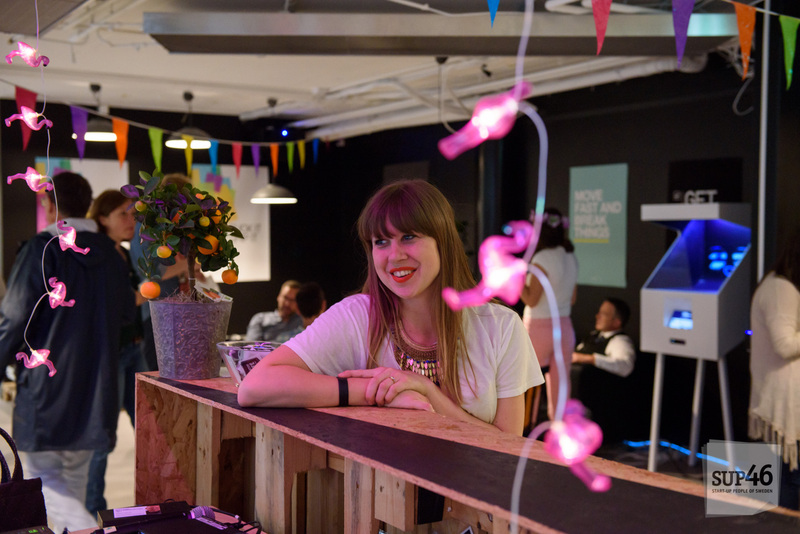 The person keeping track of them all and making sure they are all of high quality and in one way or another relevant to the tech and startup scene is our Event Manager Tatjana. She is also the one responsible for SUP46’s own external events, such as our FemTech event series. Get to know her and how she ended up at SUP46 a bit better below! How did you end up at SUP46? I ended up rather accidentally at SUP46. My background is from Event Management in the entertainment industry in Germany, I worked for Musicians, Comedians and TV Productions for more than 7 years. I moved to Sweden in 2011 as a “love refugee” and helped organizing the event “Stockholm Investing in Women Meetup” with my husband at SUP46. Here I bumped into Nathalie, then Event Manager and also Co-Founder of SUP46. She liked what I was doing and invited me for coffee to talk more about whether I would be interested in working with SUP46 and their events. I started off as an Event Intern when SUP46 was just 5 months young. 3 months later I got hired as their Event Coordinator and just a few months after that when Nathalie decided to move on from her position to become the Community Manager, I took over her role as Event Manager. Before that I had never heard of Startups, VC’s, Unicorns (always thought it was just a magical horse 😉 ) and all those typical words you use in the Startup Scene. But I found it exciting, something new and totally different to what I did before. I like the environment and excitement of the people wanting to make a change. What does your role at SUP46 entitle? Being the Event Manager at SUP46 means mainly to be the contact person for all event requests for our event venue. Making sure their event will be a success through marketing support as well as giving them input on speakers and startups for their events. But I also organize SUP46’s own branded events like our Happy Hours, SUP46 FemTech, Demo Day and Swedish Startup Gala just to name a few. We have also started to be more present at other Startup Conferences like SLUSH where we took our Happy Hour concept on tour to Helsinki together with Stockholm Business Region. I am also in charge of our conference rooms and the recently opened Startup Café by SUP46 where my role as a Creative Designer has been relevant. This happened during the planning of our move to the new venue at Regeringsgatan 65. Somehow I ended up designing our new venue and giving it the SUP46 feeling we were looking for and naturally the next step was to design and create a concept for the Startup Café as well. The best thing about working at SUP46 is that you can take on projects that you have a passion for, even though they might not have been part of your role before. Or simply be creative by taking on new ideas and projects within your field. I enjoyed designing the new venue a lot and turning all our ideas that we had since 2014 into a physical space. I remember that one of our first workshops we had in 2014 was about the ideal SUP46 venue in 2016 and it’s great to see that we managed to implement almost everything we dreamed of. When it comes to events I enjoy creating events where people leave with the feeling of satisfaction, to be able to have made some great contacts or simply got inspired. I think that’s what I am giving back to the community. Creating a place for people to meet, make contacts, get inspired, finding business partners or simply helping our startups through events like Demo Day to get connections to investors. If you were starting your own scalable business tomorrow, what would it be all about? I think it would be something in the field of events and/or design. I have been working with events for a very long time and all kinds of sizes. This is something I know by heart. The interest in design has always been there but in the last years it has become a bigger part of my work. And if I do not find the right event management platform very soon, which suits my needs as an Event Manager at a startup hub, I think I have to start building it from scratch myself. So far I have not found a suitable one. What is SUP46 to you in one word? If you want to host an event in our event space or rent a conference room for your next meeting, feel free to get in touch with Tatjana! We just invested in a games company. We’d never done that before. But it probably won’t be the last time. A few weeks ago, we took a 35% stake in InnoGames, an online games developer and publisher. We have an option to go up to 51% next year, and to increase our shareholding even further over time. But don’t you guys work in TV? Yep, we do. We’re super-proud of our broadcasting business, which has the industry’s largest content portfolio and delivers multi-screen experiences to viewers across Europe. What we’re doing with InnoGames is part of MTG’s strategy to transform into a leading digital entertainment provider. We’re already the world’s biggest esports company – our ESL and DreamHack businesses will engage over 250 million fans in 2016. At the same time, our multi-platform networks (MPNs) Zoomin.TV and Splay generate 2.5 billion online views every month, 25% of which relate to gaming content. So you could say gaming is a thread that already runs through our digital portfolio. It’s a multi-billion-dollar industry, with more than 2 billion players worldwide. For us, it therefore makes perfect sense to add gaming as our third digital entertainment vertical alongside esports and MPNs, giving us huge opportunities to create cross-promotions and synergies. Amazing games. 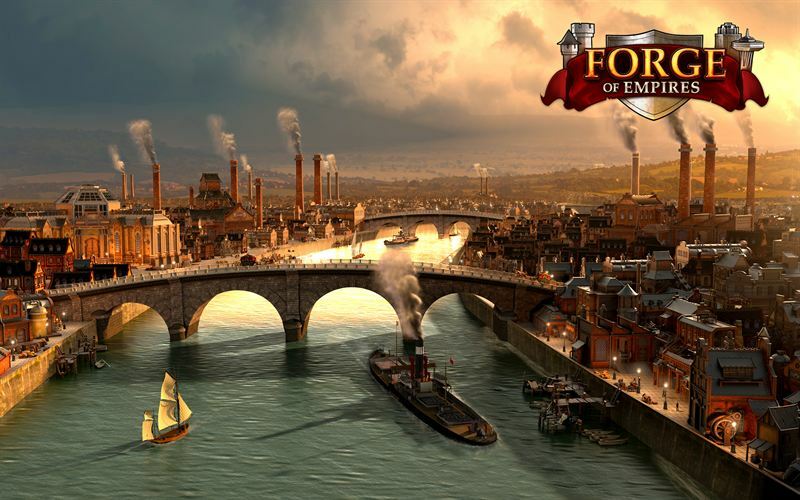 InnoGames’ titles such as Elvenar, Grepolis and Forge of Empires have generated more than 150 million registered players. A proven financial track record. 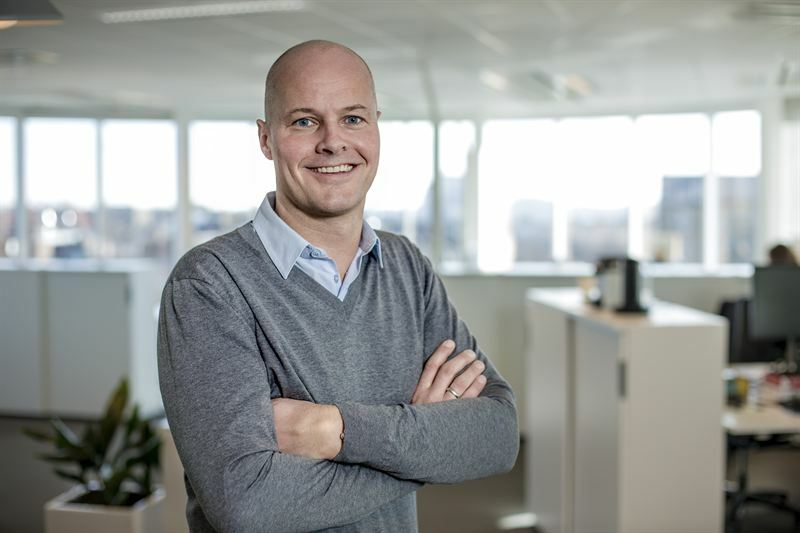 InnoGames has been profitable from year one and margins are high and stable. The company’s revenues have grown 20% every year for the last three years, and should hit EUR 125 million in 2016. A sustainable model. InnoGames operates a 100% free-to-play model with revenues coming from in-game purchasing. It develops multiple cross-platform titles, rather than a single blockbuster. And the games constantly evolve, keeping players engaged for years. Successful in mobile. Mobile is the fastest growing gaming segment, thanks to large audiences and more paying players. Today, 50% of InnoGames’ new users register on mobile platforms, and the company has some really exciting mobile-only titles in development. All these things were really important in our decision – but don’t take this as an exhaustive checklist. As an entrepreneur myself, I know that the most successful start-ups are often those that break the rules completely. Every rule, that is, except one. Whatever your business, you have to love what you do. It’s about feeling an urgent hunger to disrupt everything – you wake up each morning wanting to change the world. Passion, in other words, is at the heart of the entrepreneurial spirit. InnoGames has it. MTG has it. And so do the companies in which we’ll invest next. Want to find your perfect Swedish startup match? Last week we launched TheHub.se together with Danske Bank. TheHub lets you figure out who the Swedish startups are, where they are based and what positions they are hiring for! The aim with this open digital platform is to create visibility for all Swedish startups. This way we hope to assist them in recruiting talent, finding and contacting investors as well as offering them best practice tools and templates that most startups need. We are one week post-launch and there are currently more than 150 startup profiles and 70 investor profiles registered and more than 100 open positions have been posted by startups from all over the country. See what Sabina Wizander, Investment Manager at Creandum and Johan Attby, Founder of Fishbrain think about TheHub.se! 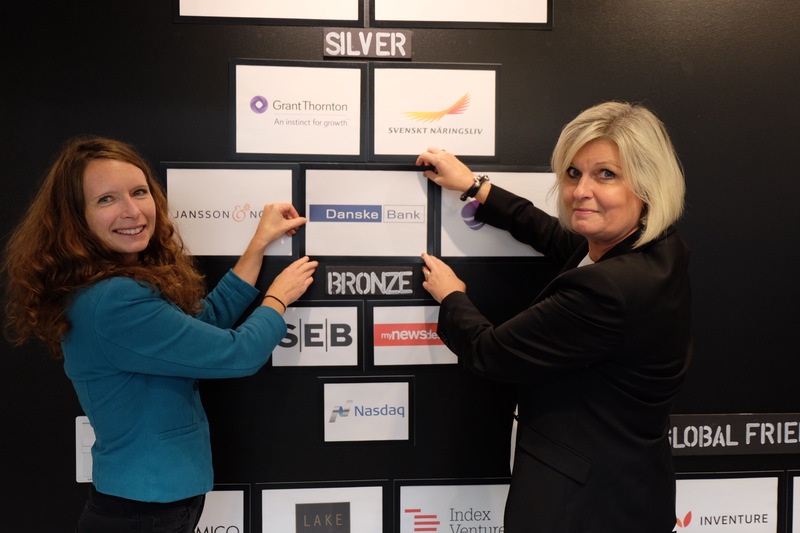 At the same time as launching TheHub.se, Danske Bank also joined SUP46 as a Silver Sponsor!